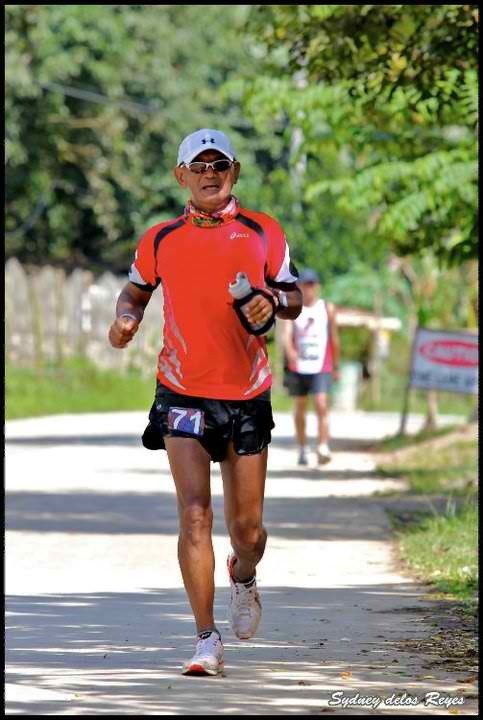 One of my ultra running friends, Dr Marc Conrad Molina posted at our Pinoy Ultramarathoners Group (PUMAG) on Facebook about the possibility of extending the life power of the Garmin Forerunner 305 (GF 305) and comments/experiences were discussed within the thread. 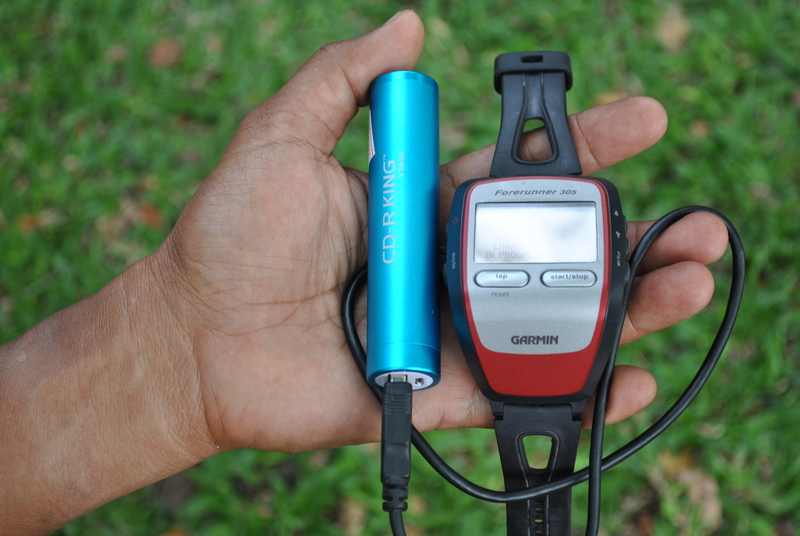 I immediately followed the things to do based from the discussion and experience of another ultra runner, Philippe Arenillo, who had been using such equipment that extends the power of his GF 305 for almost 30 hours! CDR-KING is a local store that offers inexpensive electronic gadgets and equipment. For the price and cost of less than P 330 (US$ 8.00) to include an extended wire, I was able to buy my “power bank” for my GF 305. I’ve used the “power bank” for my Back To Back runs this weekend and it worked! Thanks to Dr Mark Conrad Molina & Philippe Arenillo! I bought the Kindle version of the Dr. Phil Maffetone’s “The Big Book On Endurance Training and Racing” two months ago and started to follow his Training by adhering to the 180 Formula as my Maximum Aerobic Function by monitoring my Heart Rate. With a purchase of the simplest and most basic HR Monitor watch, I started to follow such training for the past weeks. 180 Formula would simply mean subtracting your age to 180 as your maximum aerobic heart rate during your aerobic phase workouts. On my first week of the training, I could hardly bring down my HR to 121 beats per minute while on a slow jog. I started with 142 beats per minute on the first days of my 1st week and then gradually bringing it down to 138 bpm. Later, I could easily jog at an HR rate of 135 bpm. During the Takbo Runfest 16K and MILO Marathon Eliminations, I was able to bring my average HR to 130-132 beats per minute. This is the very reason why I am always on the tail end in the past road races. Actually, I was trying to “cheat” on the 180 Formula as my desired training HR could had been 121 beats per minute which translated to a brisk walking activity. But on my 1st MAF Test on an oval track lately, I was able to constantly follow the desired Maximum Heart Rate of 121 beats per minute throughout the workout. And the results follow what the Maffetone Training intends to advocate. We will see what will be the result on my 2nd MAF Test after 3-4 weeks. It is also surprising to most of the runners (in these past road races) that they observed me to be using some “wires”. Yes, I renewed my love to music during my workouts and road races by sporting an Ipod Shuffle which is light and easy to clip! Maffetone’s training includes music and some form of cadence and beats through selected kinds of music as part of one’s playlist. What are the initial observations and benefits I got from this kind of training? First of all, I can have a workout that lasts for hours and hours without any pain or sorenes. After running for almost 5 hours at the MILO, I could walk straight and without any limp after the race, moreso, on the following day there were no pains on my legs. On the nutrition side, by following a “no carbo”diet one week before the MILO run, I did not feel hungry during the duration of the run and maintained my constant hydration through water and my Gatorade G2 mix. I did not mind getting and eating those ripe bananas in the Aid Stations. The best result? I did not have any kind of muscle cramps on any part of my legs and body! I was amazed and surprised about such result. No “bonking” and no “wall” to speak of even if my past training long runs would last for only 2 1/2 hours with an average HR of 130-132 beats per minute! Last week, I discovered that Dr Phil Maffetone has a website which is very informative and updated as compared to the book I purchased. I am going to share his website to my readers with the hope that they will be able to follow the training and its philosophy with patience and positive attitude. The following is the website: http://philmaffetone.com. For those who are joining the 1st BR Barefoot Run, it would be an interesting one for them to read his article “GAIT–Why Every Runner Is Different, and How You can Go Faster……, and other related running articles. To my ultra running friends, I suggest you take a look at this training and try it. Patience and Positive attitude play a great role if you want to adhere to this kind of training philosophy. Enjoy and have fun reading the articles and essays of Dr Phil Maffetone. Happy weekend! Just like in any sport, technology is coming into play as an edge over your opponent or competitor. In endurance sports like long distance running/ultra marathon runs, technology plays on the runner’s kit (shoes and apparel), nutrition, and hydration. This is in addition with the technology devoted on the running form and body/physical structure of the runner; and other training-related “ways and means” in order to win in a certain race. In the newly-concluded Western States 100-Mile Endurance Run, interest had been focused on the training/preparation and the equipment/kit & nutrition that the Champion, Kilian Jornet, had used during the race. On the training/preparation, we all know that Kilian Jornet had been all around Europe and the world, so to speak, since his 3rd finish in last year’s Western States 100 to compete in ultra trail races and documenting his “Kilian Quest” as sponsored by Salomon. Last May, 5 weeks before the WS 100, he won and registered a course record for the TNF 100K in Australia. In his attire during this year’s WS 100, we was wearing a loose “muscle shirt-type” upper attire which is colored white and combined with a loose trail shorts which has an inseam of about 3-4 inches. But if you noticed closely the upper white portion of his shorts, you could see a belt-type pocket all-around his waist where you can see GU Gels in it. It appears that the belt/waist portion of the shorts is lined-up with secret pockets where the runner can store/carry gels or powdered electrolytes. Wearing loose apparel was a way to solve the the hot temperature on the canyons along the route of the race. I did not see Kilian using a hydration bottle when he reached the Placer Oval Track. He was not holding anything during his last 300 meters to the finish line. 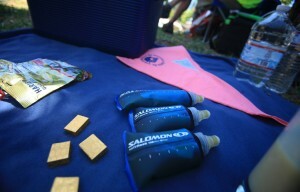 However, in his pre-interviews, he stated that Salomon had made a special hand glove water bottles for him which he can hold while running. Kilian was a victim of lack of hydration and electrolytes on the last quarter part of last year’s WS 100 as he experience muscle cramps. As you can see in his first attempt in the WS 100, he was not holding or wearing a hydration system during the race. 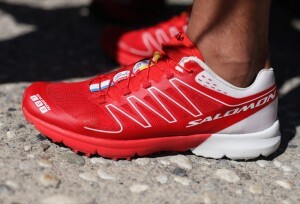 As for the running shoes, he used the lightest Salomon Trail Shoes which is considered as a prototype to be tested in the said race. And he was running without any socks!!! Looking at the physical structure of Kilian, he was very light in weight. His height could be 5 feet and 6 inches with a weight of about 130-135 pounds. 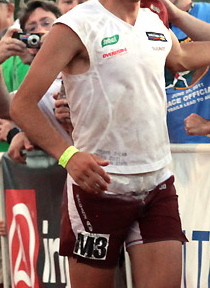 Using the lightest apparel and equipment and proper nutrition and hydration, could result to a well-trained and prepared athlete for the Championship in this race. Of course, he has the Salomon Team on his “back and sides” to fully support and finance him just to be able to win the most prestigious 100-Mile Trail Run in Northern America. This is an example and mark of what we call, “Sports Excellence”. If you are wondering at what age he started to be trained and his exploits in the past, you can read his story and other related topics about him at www.kilianjornet.cat. On the latest interview of Kilian Jornet after his win in the WS 100, you can read about his insights here at Running Times. It is too bad that what is available in our Sports Stores, Running Stores and even ASICS Store for models on ASICS running shoes are those which have thick soles and heels. These ASICS shoes are in the category of stability and cushioning shoes which are too heavy for training and for racing. I am not a runner-blogger who is being sponsored by ASICS to review and/or use their products. I simply love and feel comfortable using ASICS and I buy every pair of ASICS shoes that I use. Since I started running in the early 80s, ASICS had been Number #1 for me. This is what I call LOYALTY. During my trip to Taipeh, Taiwan, I was not able to look for a specific ASICS Store but it was inside the SOGO Department Store where I was able to discover the latest products of ASICS direct and made from Japan. The SOGO Department Store is like our Rustan’s Department Store except that the lady attendants are lined up in front of the store’s gate/main door to greet you and simultaneously bow their heads as you enter the SOGO Department Store. These ladies are well-groomed with their uniform & fashionable hat! I bought my ASICS Gel-LyteRacer on the 10th Floor of the said Department Store located in one of the financial districts in Taipeh. The first time that I used this model was during the 2011 Condura Skyway Marathon without any break-ins. Since I did not train for this Marathon Race, I thought of using the shoes for a long run as its break-in. 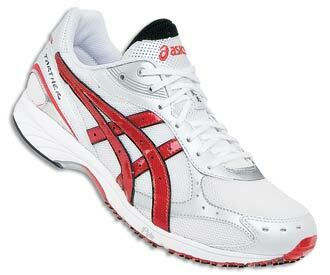 The shoes provided me with a comfortable pace and without any problems on my feet and legs. I finished the race with a slow time but I did not have any injuries whatsoever. The LyteRacer is considered as a Racing Shoes with Stabilizers on the Heel and Forefoot areas. The shoes are light but a little heavier than my ASICS Gel-HyperSpeed 3. It is fully-cushioned considering that the shoes are racing shoes. It is highly recommended for neutral runners. I will not mention those technical data about the name of the materials being used for this shoes but the bottom line is that ASICS has the highest quality in terms of comfort and durability of its products. The price in Taiwan Dollar when converted to Peso is very cheap as it sums up to less than Five Thousand Pesos only! As of now, I have just breached 100 kilometers as the total distance of usage for these shoes. This is now my preferred shoes whenever I have my LSD workouts. In an ultramarathon race, your pricey “high-tech” apparel and equipment do not make you faster and stronger runner but they can make your run more enjoyable and with better looks on your photo album! But looking at this picture, I’ve concluded that all the things that I was wearing on this run were bought outside the country! ASICS Gel-Tarther Shoes bought in Jeju Island, South Korea. In my estimate, the whole attire and stuff on me is worth $800.00! That’s a lot of money for looking “good” while running in a race. However, the pain, experience, feeling of successfully crossing the finish line, meeting friends, and being strong and healthy is PRICELESS! Running is the cheapest sports but if you want to look good in your pictures, then by all means, you can buy stuffs that you can see in “glossy” sports magazines and feel that you are an elite athlete also. But in the end, you can’t buy speed, endurance, and “mental toughness” (from Dr Chester Puno) as they are developed and acquired with years & years of patience, commitment, discipline, determination, and passion for the sports. 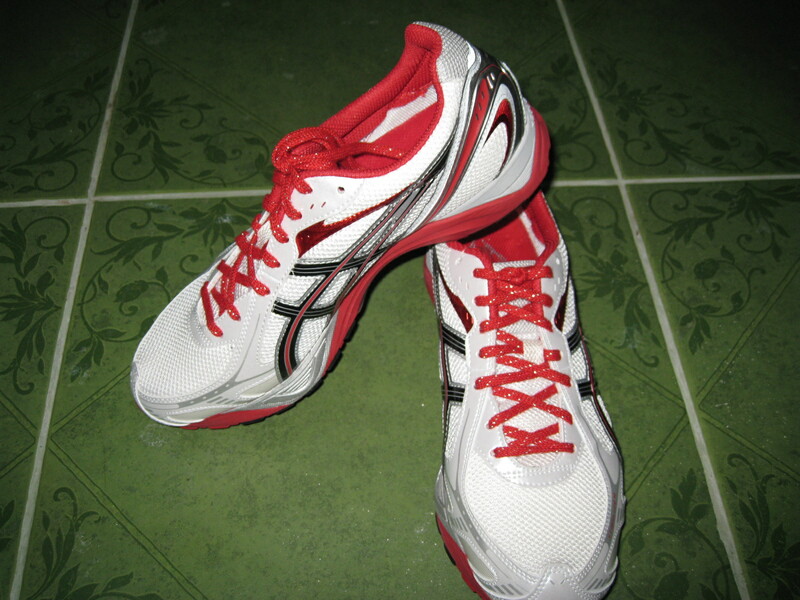 This is my new racing shoes which is reserved for the MILO Marathon Elimination to be held this coming July 4, 2010. We will see what this “new toy” will do to my next marathon race. 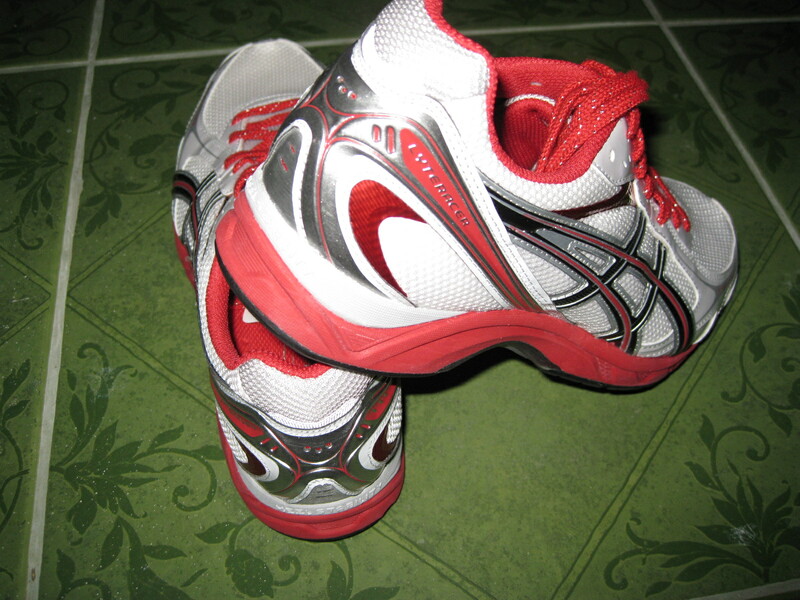 I bought this racing shoes in an ASICS Store in Jeju Island (South Korea) last March 2010. I bought it at a cheaper price than the suggested price posted at the shoes’ website (www.asics.com) when the sales lady gave a 10% discount after I’ve showed her my website/blog in their store’s computer! The lady could hardly speak and understand English but when he saw my face in my blogsite, she got the message that I am a dedicated runner. Since I am a “die-hard” ASICS runner, my shoe review for this item would be very favorable just like the ASICS Gel-Hyper Speed 3 that I’ve been using in my latest marathon races & 50K run in Jeju Island. In the ASICS Store where I bought this item, these racing shoes have a separate section in the store which is labeled as “Marathon Racing Shoes”. 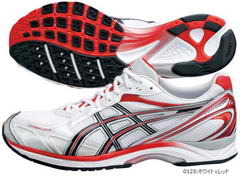 This model is the 3rd ranking lighest racing shoes for ASICS! If I remember right, the ASICS Racing Shoe with inscription “Japan” at the back portion of the heel counter of the shoe is the lightest among these Marathon Racing Shoes on display. 1. In a few hours today, Joy Rojas’ “Takbong Pangarap” Run Across USA will hold a Press Conference at the Hotel Intercontinental in Makati City about her 3,000-Mile Run Across USA which she completed on the middle of November 2009. 2. I knew this Press Con event from a Race Organizer who is close with Joy Rojas and Mat Macabe last week. I asked from the Race Organizer if I can attend the said event since I know that such event needs an invitation letter of e-mail. However, since Monday, I was given a lot of reasons and “alibis” for me not to be able to contact a certain Leila Caringal, the event organizer. And the Race Organizer who informed me about the event is no longer answering my text messages if there is a possibility that I could attend the Press Con. And what is worst, I know that Mat Macabe has my cellphone number. 3. It is on record in my blog that I tried to locate the location of Joy Rojas after a month or two from the time she started her run from Eagle Rock, California on the 2nd week of May of this year. From the e-mails I received from my ultra running friends and comments in my blog, some problems emerged from the team of “Takbong Pangarap” where one of the members left the team and returned to the Philippines due to some “complaints” and “misunderstanding” with Joy and Mat. Aside from the said “misunderstanding”, one of my readers questioned the integrity of the running event. I tried to get the side of Joy and Mat about such “issues” and it was an opportunity to exchange e-mails with Joy and she was able to send me some of her pictures of which were “grabbed” by other websites. Joy tried to evade to answer the “issues” but she told me that her run will go on. As Joy reached Idaho, I stopped monitoring her running event and since then, I never heard about her whereabouts. 4. After reading the book of Brian Stark on his experiences of running across the USA through the American Discovery Trail and Trail Roads without any support; watching the DVD film on Dean Karnazes’ 50/50 and Running The Sahara; and browsing the different blogsites and websites of runners who ran the Transcontinental USA for the past years ( pls refer to www.seejohnrun.com), I have my personal doubts about the feat and accomplishment of Joy Rojas. These ultra runners prepared their plans for years and collected at least 500 maps to trace and plan for their routes; they have journals and documents to prove their feat through their websites and blogs, complete with pictures; and they take advantage of the gadgets and devices that the high-technology world has to offer in order to track and recors their runs. 5. An ultra runner friend of mine, Tess Geddes, a Filipina who finished two editions of the Marathon Des Sable in the Sahara Desert had recommended me to track one of his ultra running friends, Ray Zahab, who was running across Canada with the use of a GPS tracker. By clicking his website at www.impossible2possible.com, I was able to locate him on real-time on what part of Canada he was running! Ray Zahab is the Canadian runner who is one of the team members who was featured in the film “Running The Sahara”. 5. If you think that this is one of my “crab mentality” stories and insights, this is not so! We are dealing here with the truth and integrity of a runner’s accomplishment and purpose. If I was not invited for this presscon because of the thought that I might “ruin” or question the integrity of Joy Rojas accomplishment, then they are wrong. I will let this blog speaks for itself. You will be the judge.